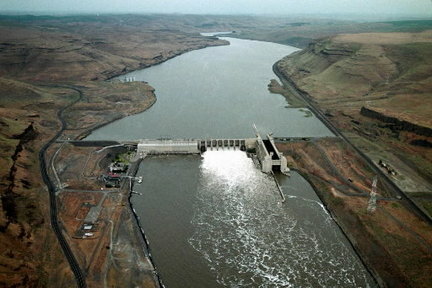 Following a related federal court ruling, U.S. Rep. Cathy McMorris Rodgers (R-WA) said on April 2 that the U.S. House of Representatives soon could vote on her bipartisan proposal to protect the production of hydropower at the Columbia River and Snake River dams, as well as the migration of endangered fish. "I'm proud to announce that my bipartisan legislation to protect our dams will come before the House of Representatives in the coming weeks to be voted on and sent to the Senate," Rep. McMorris Rodgers said following the April 2 ruling by the 9th U.S. Circuit Court of Appeals. The 9th Circuit upheld a lower court's decision requiring the U.S. Army Corps of Engineers to allow more water through the dams' spillways instead of through electricity-generating turbines to support the migration of endangered area salmon and steelhead populations to the sea. Rep. McMorris Rodgers, however, said she wants to ensure that dams and fish can coexist. And that's essentially what needs to happen, according to the congresswoman, because hydropower provides 70 percent of the energy in Washington state -- much of it produced on the Federal Columbia River Power System (FCRPS), she said on June 29, 2017 when introducing H.R. 3144. H.R. 3144 would require the Bureau of Reclamation, the Bonneville Power Administration (BPA), and the U.S. Army Corps of Engineers to operate the FCRPS in a manner consistent with the Endangered Species Act's Supplemental Biological Opinion of 2014 until Sept. 30, 2022, according to a congressional record summary. The opinion resulted from cooperation between the Obama administration, the U.S. Army Corps of Engineers, tribes, energy advocates, environmental groups and the BPA, which provides 28 percent of the electric power used in the Pacific Northwest. Additionally, under H.R. 3144, "no structural modification, action, study, or engineering plan that restricts electrical generation at any FCRPS hydroelectric dam or that limits navigation on the Snake River in Washington, Oregon, or Idaho shall proceed unless such proposal is specifically and expressly authorized by an Act of Congress," according to the summary. "My goal is to ensure that dams and fish can coexist, and this Biological Opinion provides a collaborative approach so we can continue to improve technology and fish recovery efforts, while supporting the clean energy produced on our dams," Rep. McMorris Rodgers said. H.R. 3144 was introduced with bipartisan support from original cosponsors U.S. Reps. Greg Walden (R-OR), Jaime Herrera Beutler (R-WA), Dan Newhouse (R-WA) and Kurt Schrader (D-OR). On July 20, 2017, the measure was referred to the U.S. House Natural Resources Subcommittee on Water, Power and Oceans, which held hearings to consider the bill on Oct. 12, 2017. "Hydropower helped build the Northwest, and still today it offers us clean, renewable, reliable and affordable energy to help power our homes, businesses and communities," Rep. McMorris Rodgers said. "I'm proud to lead this effort along with the support of organizations and people all across Eastern Washington." In fact, H.R. 3144 has garnered support from stakeholders including the United Power Trades Organization (UPTO), Northwest River Partners, and the National Rural Electric Cooperatives Association (NRECA), among others. Most recently, Jack Heffling, president of UPTO, wrote to set the story straight for House Natural Resources Committee Chairman Rob Bishop (R-UT) and Ranking Member Raul Grijalva (D-AZ) in his support of H.R. 3144. "Contrary to misinformation that has been widely reported, spilling water over the dams has not been the primary reason for increases in fish survival through the Columbia-Snake River system," Heffling wrote in his March 22 letter. "There have been many reasons that fish survival has improved ... but a major reason for improved fish survival is the transportation program." Heffling explained that fish entering the generating turbine intakes get directed into fish collection facilities. There they are loaded onto barges and "given a free ride" to a nearby dam for release back into the river. "Fish transported by barge are five times more likely to survive than those that traverse the river," he wrote. Continuing to operate the dams according to the Biological Opinion, Heffling wrote, is imperative to maintaining a high rate of survival for migrating fish. "H.R. 3144 requires that continuity and is therefore imperative to the continued high survival rate of migrating fish," he wrote. Likewise, Jim Matheson, chief executive officer of NRECA, wrote in a March 14 letter to the same House committee leaders that by upholding the 2014 Biological Opinion, H.R. 3144 "appropriately balances environment and economic demands while also protecting existing hydropower resources in the Pacific Northwest."